My very talented friend, Cati, started the year with lots of patience and too much yarn on her hands. So she did what any sane person who has yarn at her disposal would do: she started knitting it. Soon after, the knitting became addictive and she was simply unstoppable. 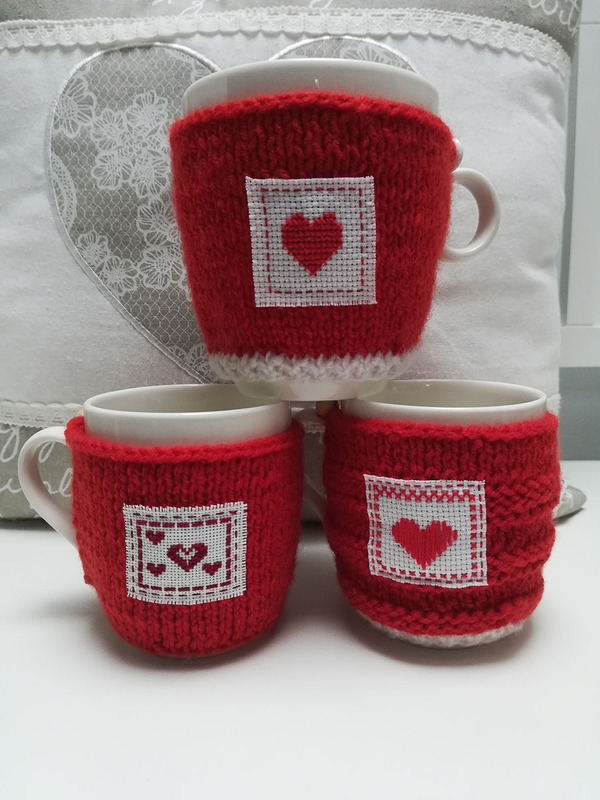 And this is how my friend Cati made a huge set of knit mug cozies. She’s practising her knitting skills and in order to do that, she got busy knitting mug cozies. It’s a fun way to practice various knitting techniques and patterns and the result is not only almost instantly rewarding but also very fun and makes for a wonderful gift. If you ever find yourself having a bad day, grab your yarn and needles and let the stress and anxiety knit away. A good audiobook or your favorite music helps set the mood and take the bad day away. If you like her work, you can leave a comment below for Cati.